The Nokia 6.1 Plus mid-range smartphone as well as the Nokia 3 budget handset are reportedly receiving the Android security update for the month of September. The update will not be a surprise to the users of either handset as Nokia brand licensee HMD Global has been rather prompt in pushing out software updates for its smartphones. The changelog for the Nokia 6.1 Plus and Nokia 3 updates states that it only brings with it the September Android security update. The Nokia 6.1 Plus is priced in India at Rs. 15,999 and will be available via a flash sale tomorrow. Nokia 3 is a more affordable model and costs about Rs. 8,000. The software updates for the two models are reportedly being pushed over the air, though users who have not received a notification in this regard can go to Settings to check for it. According to screenshots shared by NokiaPowerUser, the Nokia 6.1 Plus update is 71.8MB in size, while the Nokia 3 update measures 84.8MB. The report also claims that the smaller of the two models is receiving the update in Sri Lanka as well as Kurdistan, while only India is mentioned for the bigger model. However, it is not known whether other regions are receiving the same update or not. 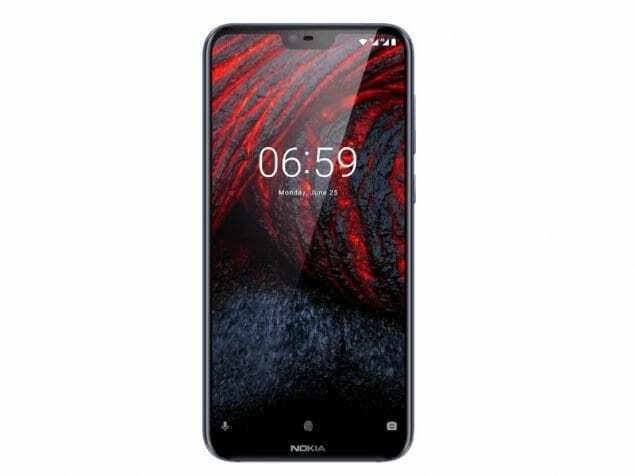 The Nokia 6.1 Plus is a rival to the popular Xiaomi Redmi Note 5 Pro smartphone, and packs the same Snapdragon 636 processor. Its key specifications include the 5.8-inch full-HD+ (1080×2280-pixel) display, stock Android 8.1 Oreo software, 4GB of RAM, 64GB of internal storage, and support for microSD card of up to 400GB capacity. Powered by a 3,060mAh battery, the smartphone supports 5V/ 2A fast-charging technology. It has a 16-megapixel + 5-megapixel dual camera setup on the back, and the selfie camera has a 16-megapixel sensor with f/2.0 aperture. Nokia 3, which was released in India last year and received the Android 8.0 Oreo update in April this year, has a 5-inch HD display, Android 7.0 Nougat, 1.3GHz quad-core MediaTek 6737 SoC, and 2GB of RAM. It comes with 16GB of inbuilt storage, which is expandable up to 128GB via microSD card support. Optics include an 8-megapixel camera on both the front and back, and battery capacity is 2,650mAh.